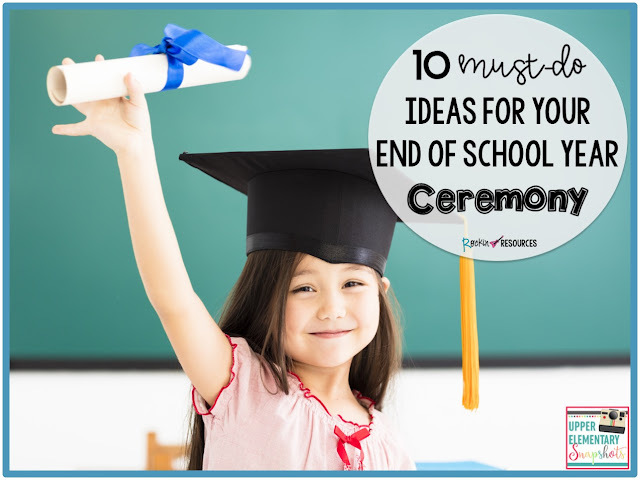 Are you looking for ideas for an end of year ceremony? You will find creative ideas for before, during, and after the ceremony! 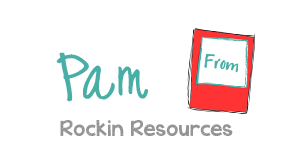 Your students will be engaged, your parents will be shedding tears, and you will be a rock star! Read on to find out more and grab a freebie! 1. Wiggle Worms: All children get a little wiggly when it comes to sitting for a lengthy period of time. Promise a handful of gummy worms after the ceremony and tell them to wiggly the worms into their mouths! 2. Independent Activity: Students need an independent, quiet activity while you are gathering last minute materials or you are all waiting to be called to the auditorium. Here are some great ways to motivate students and keep them engaged while you run around making sure everything is ready! * Favorite memory of the year. * Write to next year's class and tell them what to expect. * What do you think you will do when you graduate high school? (I like to do this one and keep them! When my fourth graders graduate from high school, I send them a graduation card with this in it! Kids AND parents LOVE it! I include my email and address in the card and their responses are priceless! * How many words can you make out of summer? 3. Photo Slideshow: Dig through all the pictures you took throughout the year. Place them on a photo slideshow. Play it either before and after the ceremony with music. Or have it running during the ceremony. 4. Awards: Academic, perfect attendance, and end of grade awards are staples to be given at the ceremony, but each child should get a personal award to reflect their year in your class. 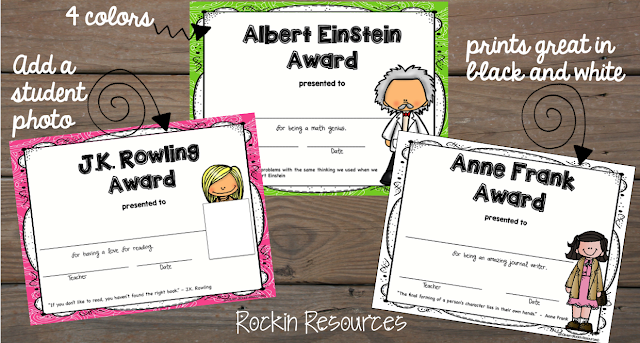 Make it fun by holding your own ceremony in your classroom to give out a personal award to each student! 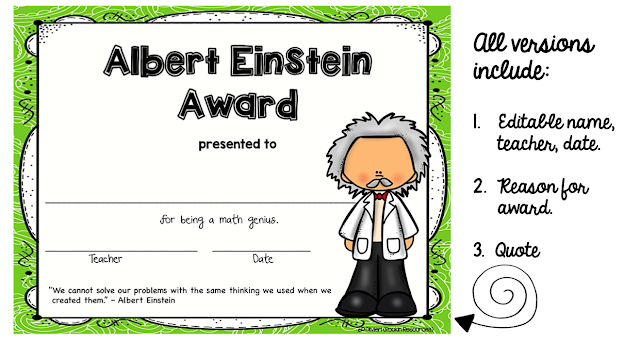 These are unique awards where each student is given a famous person award. There is a description of why the student got that person's award AND a quote from the famous person. Super Cute! There is a color version, black and white, and a version where you can place your student's picture in to make it even more personal. 5. Poem to Students: After a whole year with your precious babies, let them (and their parents) know how much they mean to you. It is time to get sentimental! Copy this and fill in the blanks! And now you are ready to move onto _______ grade. You are probably saying, "The end is finally near!" And I see how much you've grown this year. My job was easier because they supported you. Your eagle wings are ready for you to soar! But do you ever wonder what happens to me at the end of the day? I sit down exhausted and look forward to a summer break. I only hope that you remember me and your _____ grade days. And give you never ending well wishes while we are apart. We will share your news and remember how it used to be. 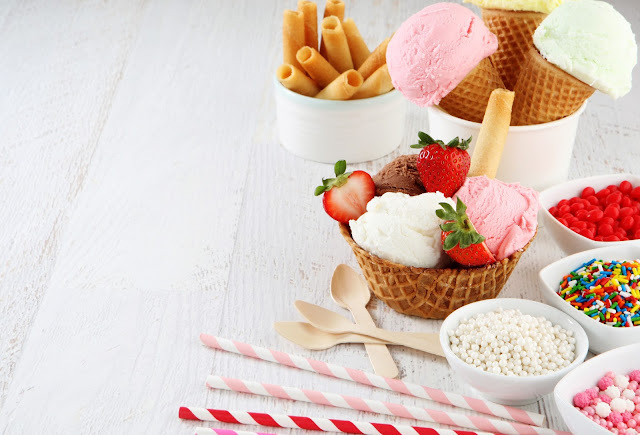 There are cute ideas on Pinterest like diploma cookies and graduation cap cupcakes, My favorite is an ice cream buffet! Get big tubs of ice-cream, some waffle bowls, and tons of ingredients to top off the cool delicious dessert! Use signup genius to list ingredients and ask parents for help! Since the kids have to sit still during the ceremony, promise them a dance party afterwards! Put on some fun music and let them dance! Even if you do it for 10 minutes, they will thank you! Idea: Occasionally turn off the music and they need to freeze. Turn it back on and they start again. Fun! 8. Autographs: Give the students time to get each other's autographs! * Letter to students- Write a nice little note to your students. Idea: Include your address. Tell them that you will write to them over the summer and ask them to reply! * Flash drive of music played throughout the year. * A framed class picture. * Frisbee- This year flew by! * Popsicle- Have a cool summer! * Bubbles- You blew me away this year! * Ball- This year has been a ball! * Kool-Aid- Have a Kool summer! * Candy- You made this year sweet! * Cookie- You are one smart cookie! 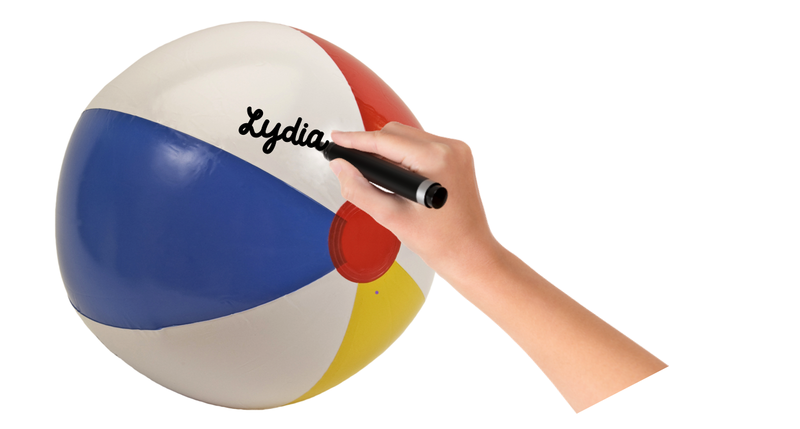 * Chalk- Chalk it up to a great year! 10. Letter to Parents: Send a sweet note to parents thanking them for sharing their children and trusting you with them. 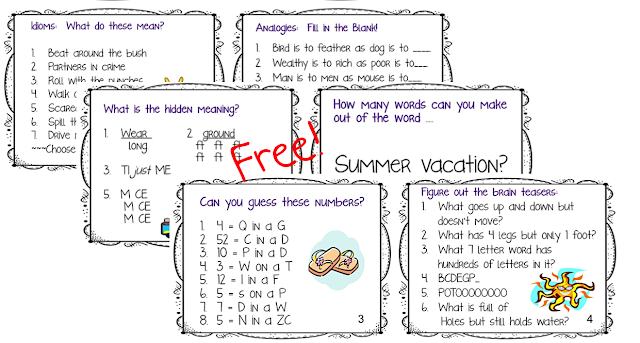 Include some ideas for summer reading! I hope you found some ideas to help your ceremony be a success!